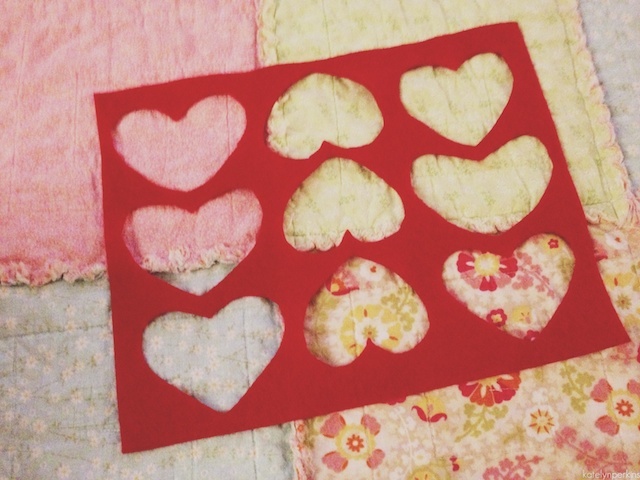 Cut hearts out of the felt (I got about 9 per square.) 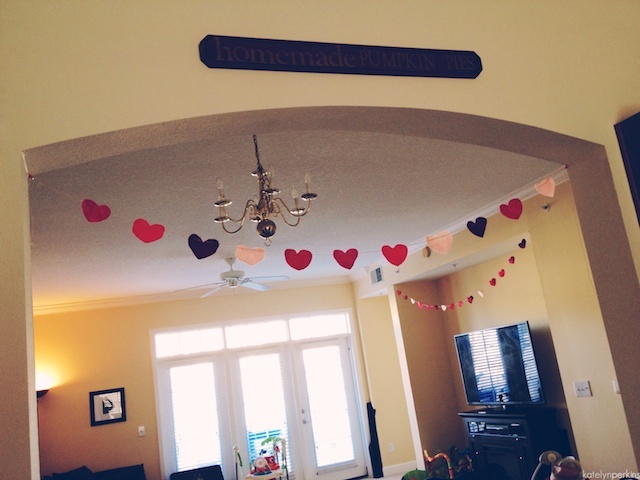 Use a sharp scissors (I used embroidery scissors) to poke holes in the hearts – two on the edges if you’re making horizontal garland, or one in the top center if you’re making vertical, like we did on the chandelier. 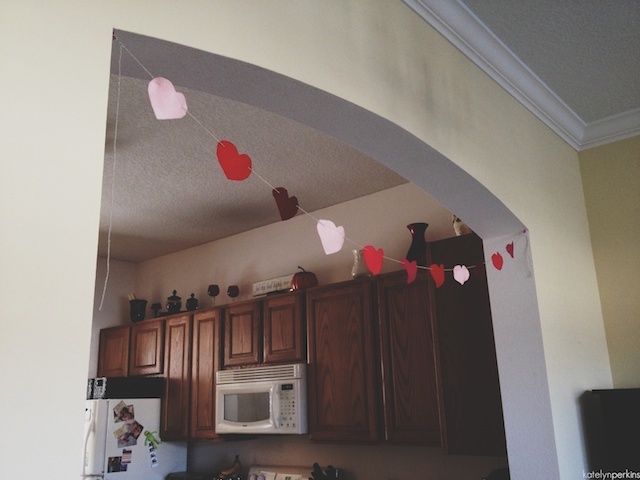 Measure string for the area you’re going to hang it. 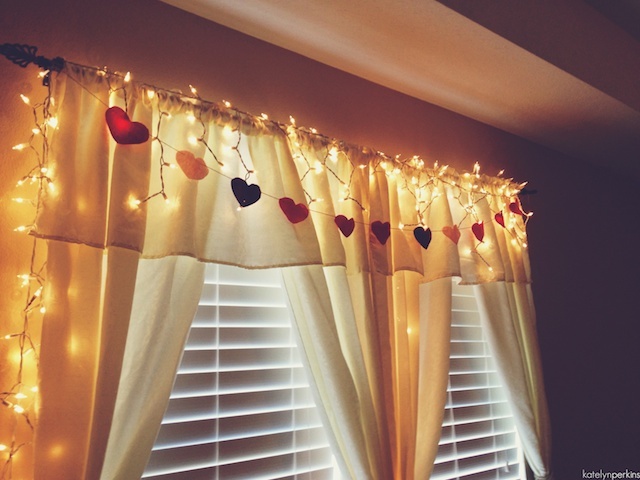 Thread hearts on the string. I used a safety pin as a sort of needle to get the string through easier. 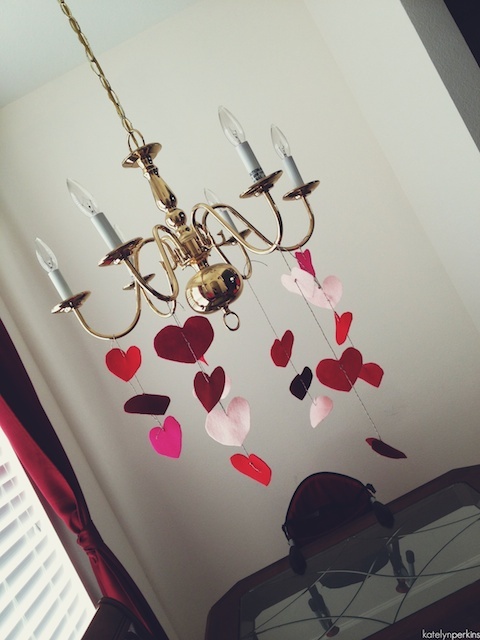 For the vertical strands I put a knot between each heart too.